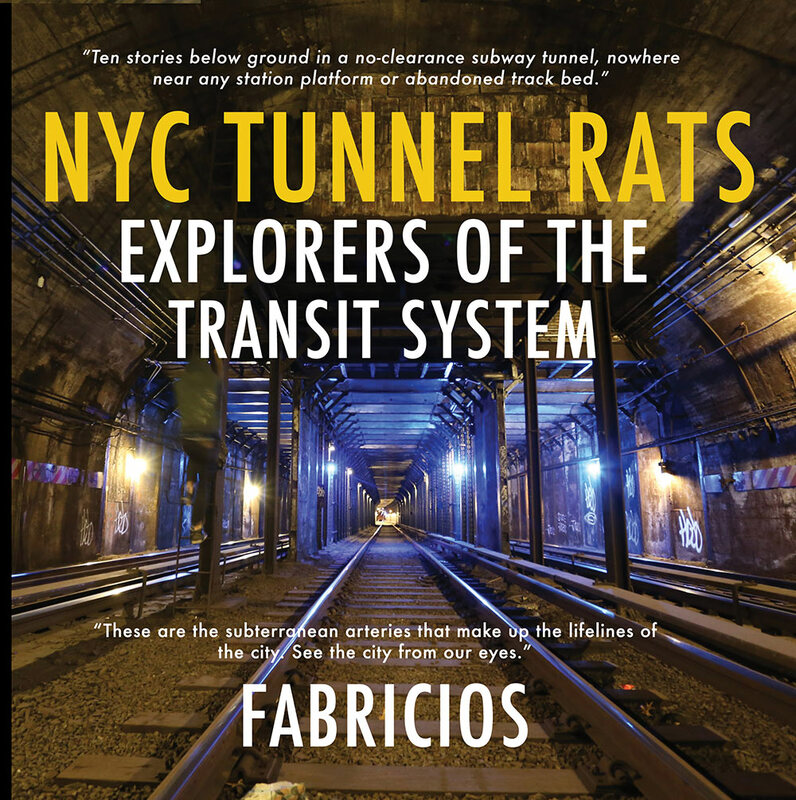 If you ever looked out of the window on a train and wondered what it’s like to wander the New York City Transit System, this book is for you. Nights chronicled by pictures of people roaming the historical, interactive, and deadly underground museum. Locations of portals discovered but not declared. Walking in hidden parts of the city where danger and darkness reign. Who in their right mind would risk going down below the streets on their own? It’s an addiction, why else would anybody do this? The subterranean maze you whiz through is the set of arteries that make up the lifelines of the city. This collection of photographs documents the exploration of the New York City tunnels. See the city from our eyes. I was just like the kids you see on the subway today kneeling on the seats and peeking out of the window to see into the tunnels. Before I was old enough to understand graffiti, I didn’t know people went into the tunnels. My mother told me homeless people lived in the tunnels. I wondered what kind of people lived in that dark place. I remember seeing the yellow handrail along the catwalk when I looked out of the window; I knew the handrail was for people, but I never saw anyone. This made the tunnels an even scarier place for me. As I grew older, I began to decipher the graffiti in the tunnels. From the train I could see that every place there was a light bulb had someone’s tag under it. This is when I realized not only homeless people went into the tunnels, kids writing graffiti did ventured into the subway tunnels too. I remember seeing a roller that read “SUBWAY LIVES”. The first time I read that, I thought to myself, “Do these guys live in the tunnels? Are their lives dedicated to the subway?” It wasn’t long after that I discovered movies like Beat Street, Style Wars and Money Train. These movies fueled my interest in the transit system. I knew it was only a matter of time before I too would venture into the tunnels.